What life was like at the turn of The First MillenniumThe Year 1000 is a vivid and surprising portrait of life in England a thousand years ago - no spinach, no sugar, but a world which already knew brain surgeons and property developers, and yes, even the occasional gossip columnist.Uncovering such wonderfully unexpected details, authors Robert Lacey and Danny Danziger bring this distant world closer than it has ever been before. How did monks communicate if they were not allowed to speak? What punishments could the law impose without stone and iron prisons in which to lock up offenders? Why was July called "the hungry month"? The Year 1000 answers these questions, and reveals such secrets as the recipe for a medieval form of Viagra and an hallucinogenic treat called "crazy bread".In the spirit of modern investigative journalism, Lacey and Danziger interviewed the top historians and archaeologists in the field. Their research led them to an ancient and little-known document of the period, the Julius Work Calendar, a sharply observed guide which takes us back in time to a charming and very human world of kings and revellers, saints and slave-labourers, lingering paganism and profound Christian faith.This exuberant and informative book concludes as the shadow of the millennium descends across England and Christendom. While prophets of doom predict the end of the world, AD 1000 sees the arrival of such bewildering concepts as infinity and zero, along with the abacus - the medieval calculating machine. 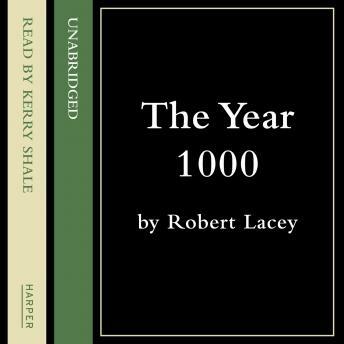 These are portents of the future, and The Year 1000 finishes by examining the human and social ingredients that were to make for success and achievement in the next thousand years.